The Gambian dictator is targeting the in-country assets of the Ahmadiyya Muslim Jama'at's for seizure which explains the recent feud between the Supreme Islamic Council and the Ahmadiyya, according to our sources in Banjul. The Muslim sect that has been in the country for over half a century and has lived harmoniously with mainstream Muslim communities throughout the period until very recently when problems started to emerge which culminated in the declaration by the government-financed Supreme Islamic council that the Ahmadiyya Muslim Jama'at is non-Muslim. 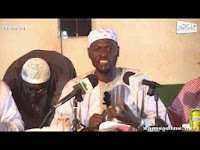 The regime of Yaya Jammeh has been exploiting the radical Wahhabi Muslim teachings of the radical cleric Dr. Baba Ceesay and the dismissed Imam Fatty, both Saudi-trained Wahhabi scholars to impress Saudi Arabia with the hope of getting financial support for his regime that has fallen on hard times. In order to appease the Saudis, Jammeh has been arresting gays, lesbians and anyone identified as such, who are then jailed and tortured. The radical form of Islam being preached by a handful of Wahhabi scholars, including Dr. Baba Ceesay, is beginning to take root in a once peaceful country where religious co-existence was the norm. 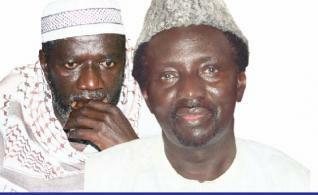 The Ahmadiyya appears to be a victim of such Islamic extremism being encouraged and supported by Yaya Jammeh. With schools and health facilities spread across the country, including a huge hospital in Tallinding, the Ahmadiyya Muslim Jama'at, its physical assets are highly valued. Our sources are now telling us that the Gambian dictator, who is in the habit of seizing private property from investors and private citizens alike, has his eyes on the properties belonging to the Ahmadiyya, in particular its hospital at Tallinding, on the outskirts of the capital. The source pointed out that a similar health facility belonging to the late Gambian doctor, Jack Faal, which was seized by Jammeh several years ago, is in a dilapidated state due to neglect and abandoned. Perhaps Jammeh is ready for a replacement facility which he sees in the Ahmadiyya Hosptial at Tallinding.